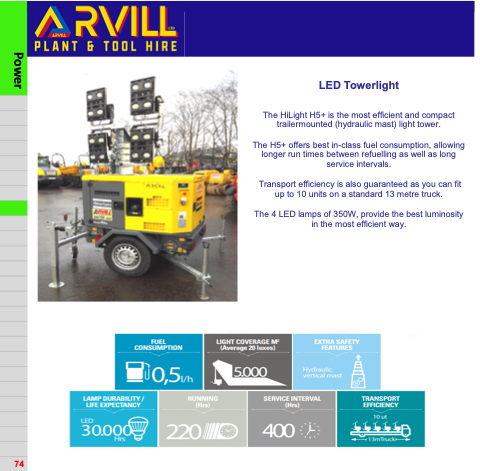 The HiLight H5+ is the most efficient and compact trailermounted (hydraulic mast) light tower. The H5+ offers best in-class fuel consumption, allowing longer run times between refuelling as well as long service intervals. Transport efficiency is also guaranteed as you can fit up to 10 units on a standard 13 metre truck. The 4 LED lamps of 350W, provide the best luminosity in the most efficient way.